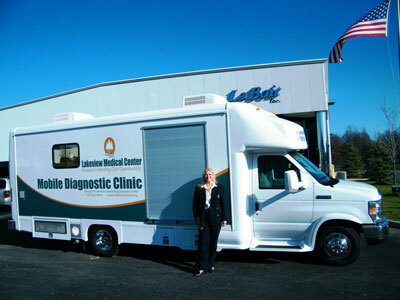 Lakeview Medical Center in Virginia recently took possession of their new 26′ La Boit mobile medical clinic. Lakeview provides medical and physical therapy as well as a host of other services. This unit was purchased for the ability to service clients with swallowing disorders. We wish them much success and welcome them to the La Boit family! Take a video tour below to see all the special features this vehicle offers.